Last week I was on the Georgia coast for a work trip. I stayed an extra day to tag along on a couple of field trips arranged by one of my colleagues and got to visit a huge nesting colony of Federally Endangered Wood Stork, Mycteria americana at Harris Neck National Wildlife Refuge. Perched in a towering thin tree on Jekyll Island, a colony of tall slender birds sits above the sand. It is an unusual site, causing passersby to stop and take a second look. What the spectators are seeing is more than a striking scene. It is proof of nature restoring itself. 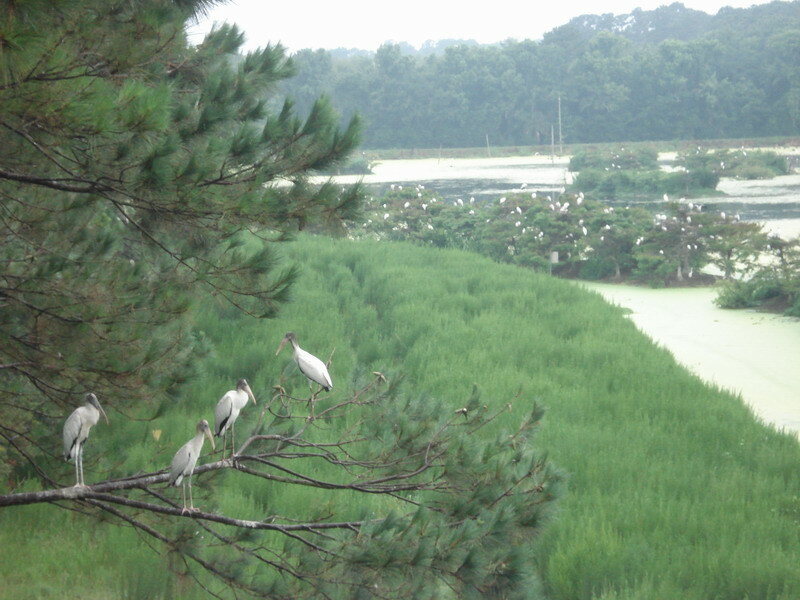 When wood storks began nesting on the Georgia coast about 50 years ago, the endangered species was seeking refuge. 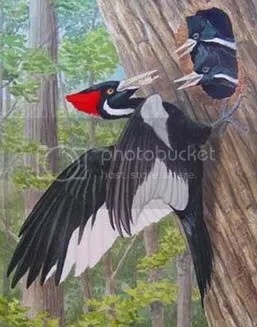 In the decades since the birds have been nesting in the area, their numbers have steadily increased, although they are still listed on the federal endangered species list. In recent years, the Coastal Resources Division of the Georgia Department of Natural Resources has partnered with the U.S. 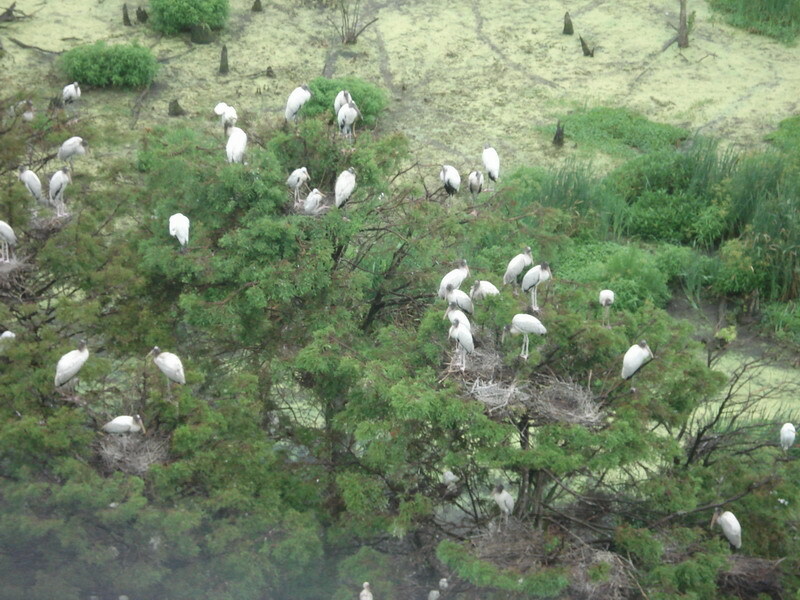 Fish and Wildlife Service, the U.S. Department of Interior, as well as other private entities, in an attempt to restore the wood stork population by monitoring the birds, creating protected wildlife areas and artificial nesting platforms. It seems these efforts have paid off. This year, the Coastal Resources Division has declared that the birds are making a strong comeback. When counting nests throughout the region, the CRD tallied an estimated 2,225 nesting wood stork pairs, said Brad Winn, program manager for the DNR Nongame Conservation Section. More than 500 pairs of nesting birds were found in the Harris Neck Wildlife Refuge in McIntosh County, making up about a fourth of the state’s entire wood stork population. Because the refuge can manipulate water levels, it makes nesting and feeding easier for the bird, allowing them to thrive, Winn said. Historically, the long, skeletal-looking birds made their home in the Florida Everglades. But development and massive changes to water sources created harsh conditions for the birds, pushing them to find a new home on the Georgia coast. The recent high count of wood storks is proof that the birds have successfully adapted to their Peach State habitat, Winn said. How long that will hold remains to be seen. The draining of wetlands along the coast to make room for development is threatening the habitat and nesting areas of the birds. “Humans are taking water off the marshes and wetlands, and they can’t successfully nest,” Winn said. Despite the disturbance of human development to nesting grounds, Winn has hopes the creatures will continue to thrive.